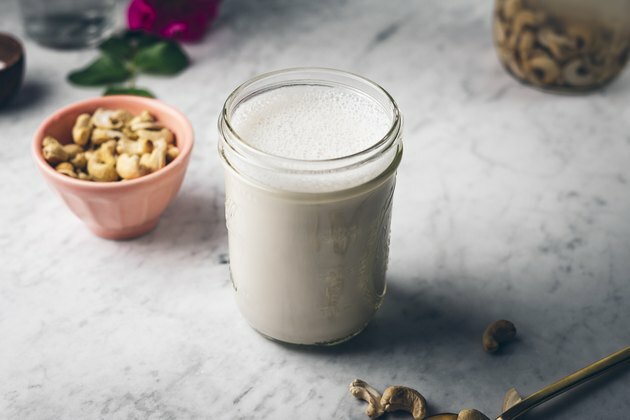 Cashew milk is wonderful and creamy—truly one of the best nut milk options available. It is, however, a bit expensive, and that’s why it’s great to make this delicious treat at home! 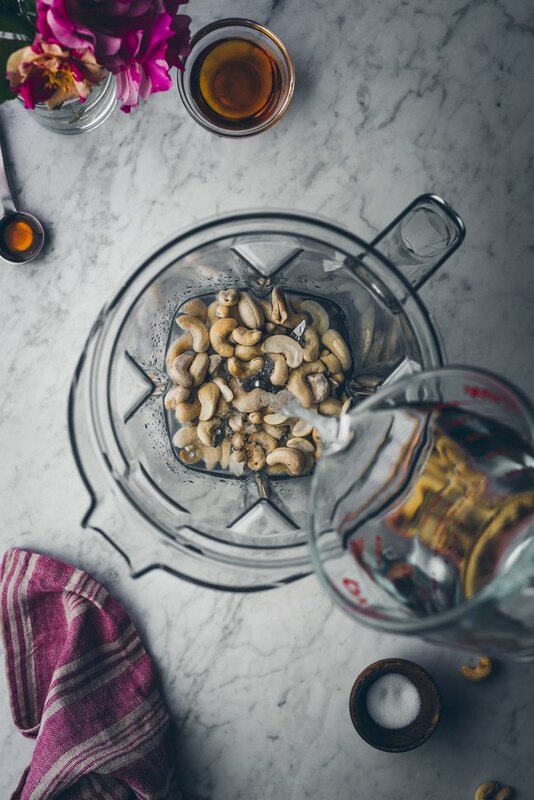 The process is straightforward and simple: just soak the cashews overnight, then add water, blend, and enjoy. 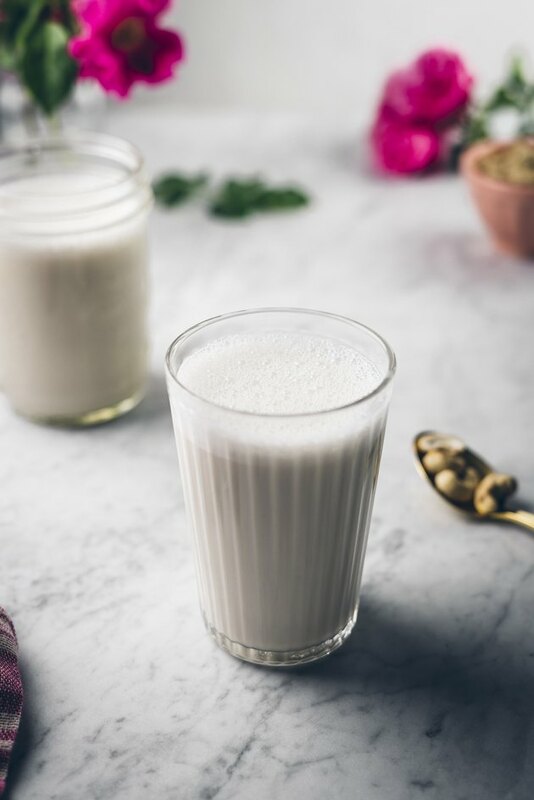 There’s no need to strain the cashews and there are only a few steps until you’re sipping on a delicious nut milk of your own. 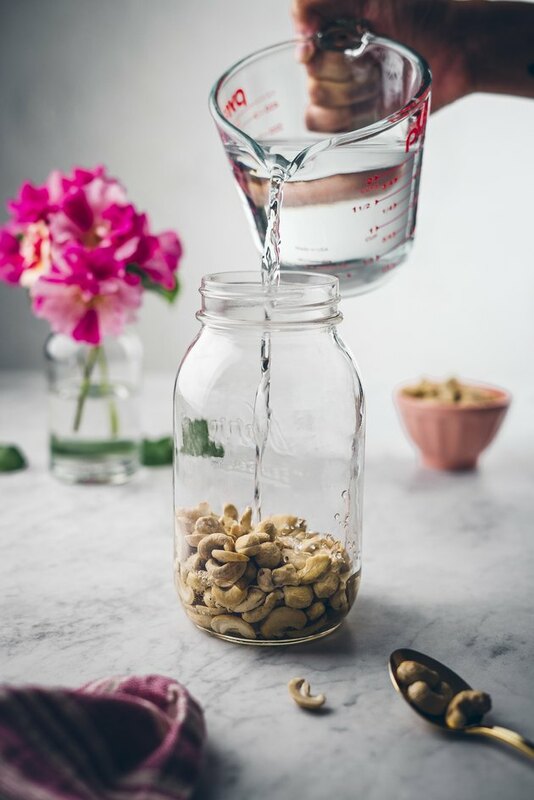 Add the cashews to a jar and fill with enough filtered water to fully submerge the cashews. Let the cashews soak at room temp for at least 5 hours, or place them in the refrigerator if soaking overnight. Strain the cashews and rinse thoroughly with water. 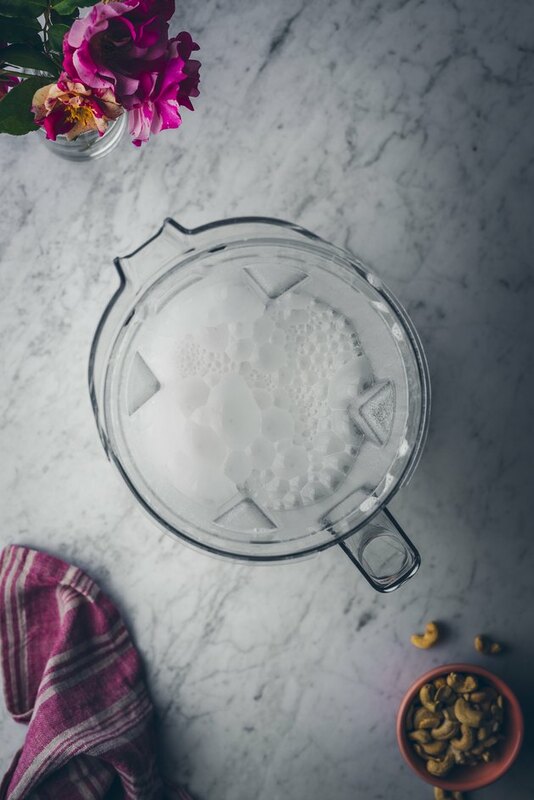 Add the cashews to the blender, along with 3 1/2 cups filtered water, the salt, vanilla, and maple syrup. Blend everything together beginning on low and increasing to high speed for about 1:30 minutes to 2 minutes, or until smooth. Taste the milk and add any additional sweetener, if needed. Also, if a thinner cashew milk is preferred, simply add an additional 1/2 cup of water. If using a regular blender, you may need to increase the blending time. Also, if the blender can't fully break down the cashews, you may need to strain your nut milk through a sieve or cheesecloth. Pour the cashew milk into a sealable container. Store in the refrigerator for up to 2-3 days. Shake before using and enjoy!